Did you spot my grammar goof? If not take a second look at the title. 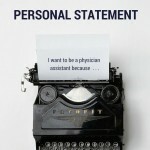 You have spent days, weeks, and months writing and perfecting your personal (not personel) statement. You have slaved countless hours in front of the computer screen trying to shed a creative light on your background and highlight your experiences. 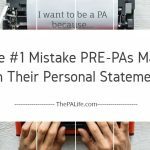 Don’t overlook the most common and possibly most devastating mistakes many applicants make when submitting their personal statement. Spelling and grammar mistakes make us look careless and illiterate. Neither of these are favorable aspects of a PA school applicant. 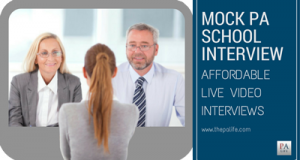 To maximize your chances of receiving a precious interview spot you are going to want to do everything in your power to avoid them. Today I am going to give you nine simple steps to avoid these silly goofs and make sure your personal statement is flawless. A spellchecker is probably one of the best innovations to come out of the 21’st century, but it doesn't catch all spelling mistakes. 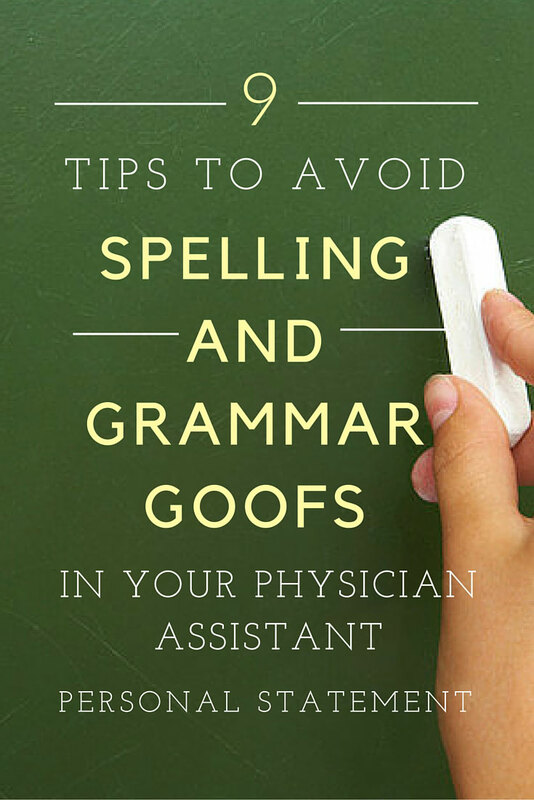 To spot typos, read your text backward or ask someone else to proofread your text. Use Grammarly, which offers a feature-packed set of spell-check and proofreading options in their free web app. They also have a Microsoft Word plugin that will take your spellcheck to the next level. Download and install this medical dictionary for MS Word. It was built with love by a medical transcriptionist, and he gives it away for free! Write like Hemingway: The author and journalist, Ernest Hemingway, was the master of simple language. His writing is direct and lacks flowery prose. This makes it an ideal model for writing a winning PA School Personal Statement. With this in mind, one of the most useful tools for aiding and improving writing is the Hemingway App. 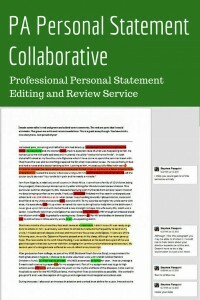 We have reviewed 100's of essays through our personal statement editing service. 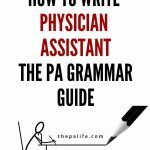 Not a day goes by where we don't see these three typical "PA specific" writing mistakes. According to one admissions director, we interviewed making just one of these errors will land your personal statement in the trash bin - ouch! 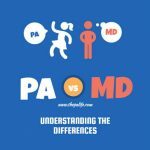 It is PAs, not PA’s - Trust me, the managing editor of the AAPA wrote me personally and corrected me on this one! 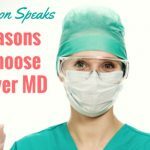 Physician Assistant John Smith has been in medicine for ten years - This is capitalized because it is part of a name (Physician Assistant John Smith) and it proceeds the name. 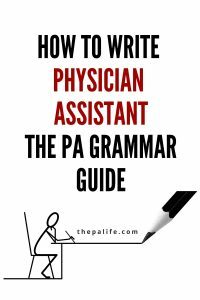 If the word physician assistant (notice I didn't capitalize physician assistant) follows the name as in this example: John Smith, a physician assistant, drinks a lot of coffee, it is not capitalized. Consider creating your own proofreading checklist which includes a list of the types of mistakes you commonly make. Refer to this list each time you proofread. 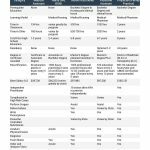 Take the time to print out your final draft on paper. You, and those who you have reading your essay are less likely to skim the text and miss errors. This is a very simple yet commonly overlooked piece of advice that can make a big difference when it comes to editing your personal statement. Sit in a quiet room and read your essay aloud, record yourself reading your essay on your smartphone, rewrite the text where you stumble as you read aloud and listen to yourself read the essay, taking note of text that seems awkward, unnecessary or out of place. Another effective method is to have the computer read aloud for you. If you own a Mac, you can copy the text of your paper into a TextEdit file (found in Utilities or Applications). If you have a PC, you may have a reader installed, or check out Natural Reader for free. Print out a copy of your paper, double spaced. You need a pen/pencil and highlighter. Prepare a text file that can be read by your voice software. Choose a voice you like if you have a choice. Listen to your paper as you follow along on the printed copy. Stop the program when you hear a problem and note it on your paper. Grammar problems, notably missing endings or subject-verb agreement errors. Ideas that don’t fit together—for example, sentences that jump around or don’t seem to be in the right place. Repetition of words or dull repetitiveness. Sentences that don’t make sense to you. Unnatural pauses, or lack of breaks, in the reading. This indicates you probably haven’t punctuated correctly. Words the program can’t pronounce, which could indicate a misspelling. This is a standard technique used by writers: read your essay backwards. We often become "blind" to our mistakes, seeing the correct word or grammar on the page when it isn't there. To break this pattern you can read your writing backwards, phrase by phrase, or word by word. This will help you see your text in a new way. Try checking spelling and end punctuation on one pass, grammar and internal punctuation on another, and format on yet another pass. Develop a system. If you are editing in Microsoft Word you can choose to turn formatting marks on or off. This will allow you to go carefully through your document looking for extra dots (spaces) or arrows (for tab characters) as well as returns and paragraph spacing. Invite someone else to proofread your text after you have reviewed it. A new set of eyes may immediately spot errors that you've overlooked. We provide a detailed proofread of your essay as part of our essay review service. Or, consider sending your personal statement to a service such as eangel which is a very inexpensive email proofreading service. This is an enjoyable activity I have done with clients as part of our essay collaborative. I'll describe it, but here is also a short video demonstrating the process. Make a copy of it on your computer so you are working with a new version. At the end of every sentence, put a 'return' and leave a few spaces. Do this for your entire piece of writing. Adjust the size or spacing so you can see only two sentences on your screen. Read the sentences aloud. As a pair of sentences, do they work together? That is, does one sentence follow logically from the one before it? Now, scroll down, so you see your second sentence + third sentence only on the screen. Ask the same question: does one sentence lead to another? If it doesn't, add transitions, pronouns, or other information to make the two sentences work together. 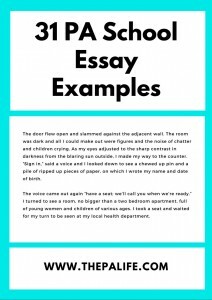 Do this process for your entire essay-yes, it's long and time-consuming, but you'll get faster at it. 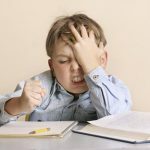 This exercise will help you with understanding organization, transitions, and how your writing works together, not just as a series of disconnected sentences. If you do make a last-minute change to a few words, be sure to check the entire sentence or even paragraph over again. Many errors are the result of changes made without adjusting other, related words. I do this all the time! Make sure to check the entire document. 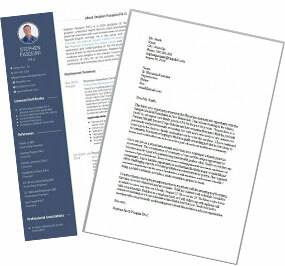 A good exercise is to create a profile of one or two admissions committee members and make it into a separate document. Go to Google image search and input "physician assistant school faculty" and grab one of those pictures. What does their profile look like? Are they middle-aged? 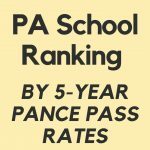 Experienced administrators, teachers or a PA student? What are they looking for? 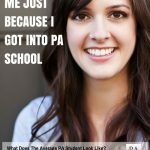 Creativity, enthusiasm, knowledge of the PA professions, uniqueness? Once you have created an actual profile for your reader go ahead and re-read your essay. Does your reader understand it? Does she like it? 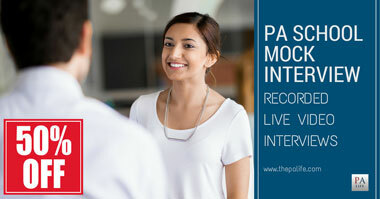 Does it persuade him/her to take action and send you an invite to interview? 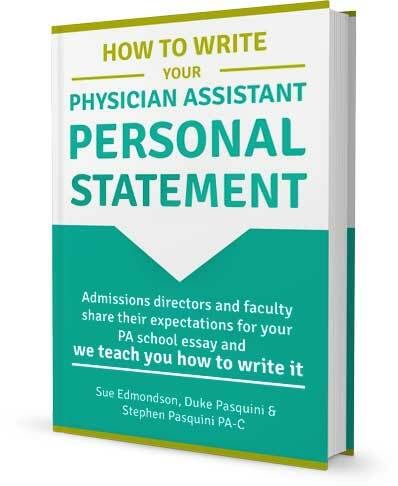 Would you like some more great tips on writing your physician assistant personal statement? 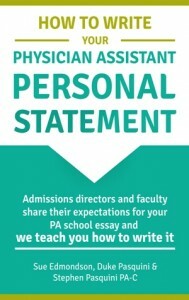 Check out our new book "How to write your physician assistant personal statement" which includes 12 interviews with some of the nation's top PA school faculty and admissions directors from across the country-It's available on Amazon for instant download from the Kindle Store and also in paperback. 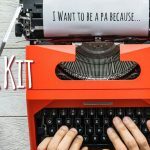 Click here to read more about the PA school essay collaborative where you can get free advice on your personal statement or submit your essay for one-on-one help through our professional editing/proofreading service. 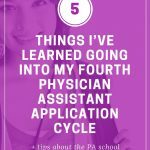 Previous Post: « A Question for Physician Assistants: Why Are You In It? 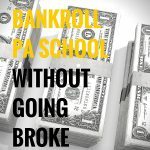 Great post with very valuable information.